IJN Musashi (10 additional Containers). 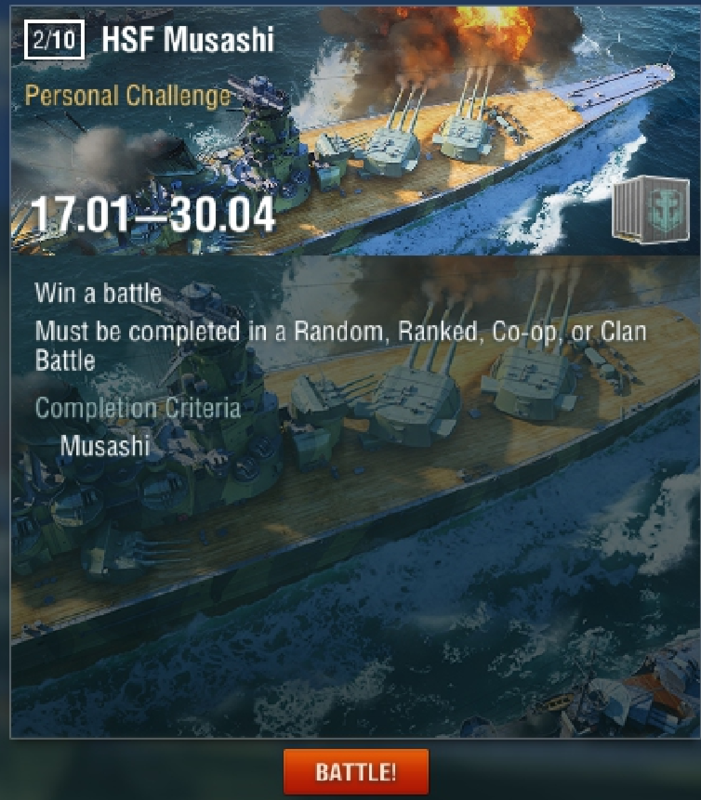 Does that mean I can get a total of 10 additional containers for either yamato and musashi? so thats 20 games total on both? correct? Just lost a game, didn't receive a container. I have the hsf graf spee and hsf harekaze, and was wondering where I can find the missions to get the special High School Fleet containers ? Do they become available at certain times or are they renewable as mentioned above on a daily basis? Or do you just use the HSF ships to complete daily missions to get the HSF containers? They become available after you play each ship once. Do you have to have a hsf ship selected in port for you to be able to see them ?